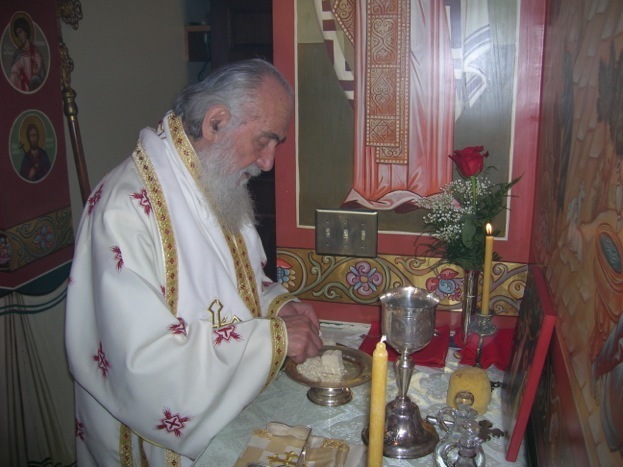 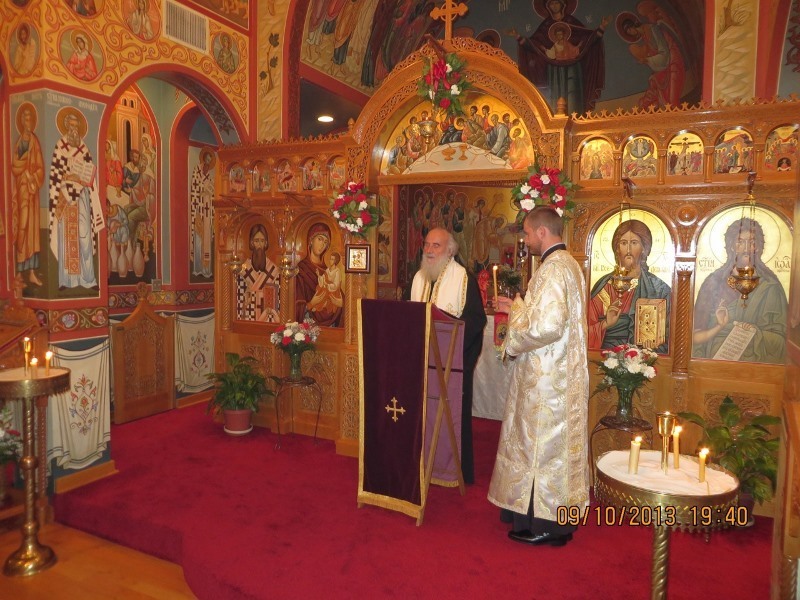 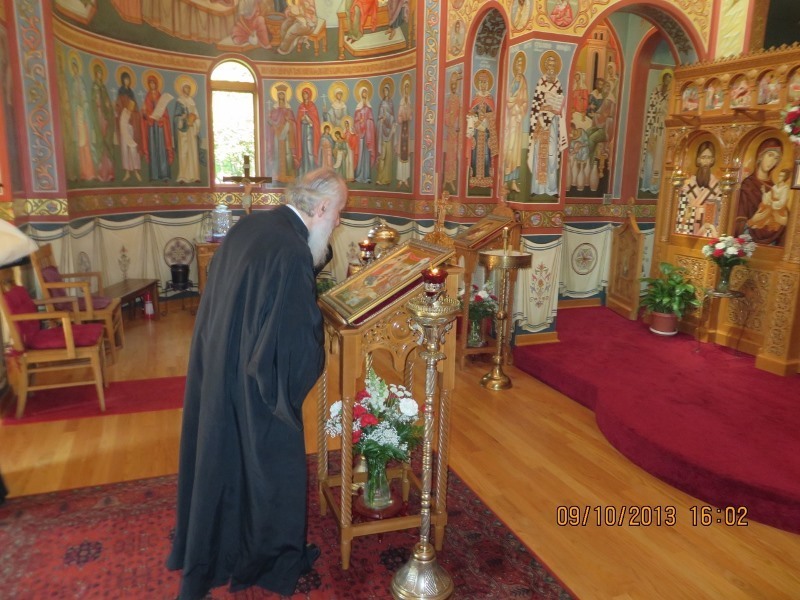 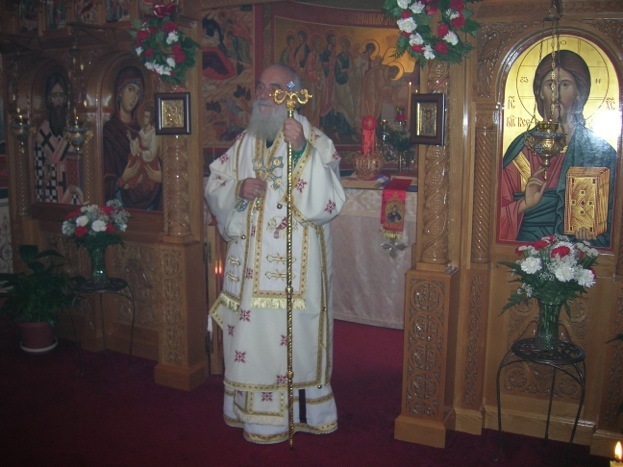 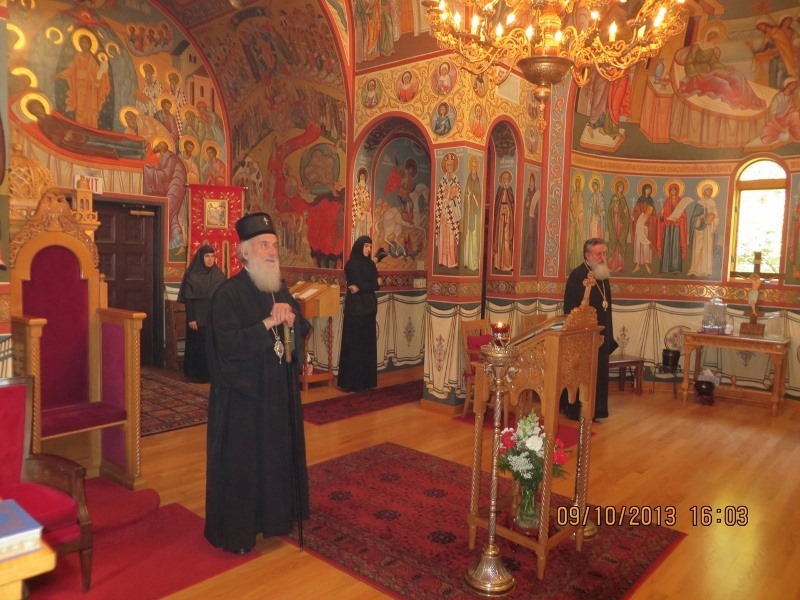 New Carlisle, IN - His Holiness Irinej, Serbian Patriarch visited the Serbian Orthodox Monastery of the Nativity of Most Holy Theotokos in New Carlisle, Indiana. 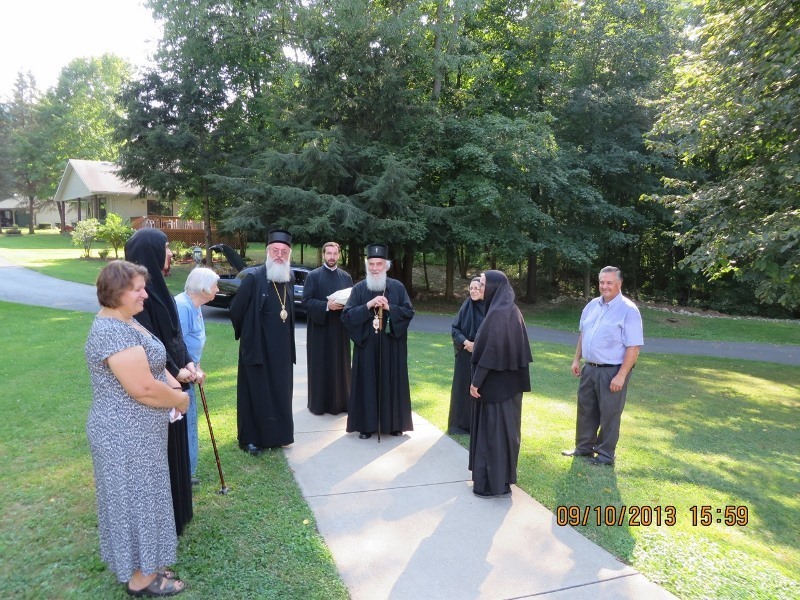 His Holiness, accompanied by His Grace Bishop Longin of New Gracanica-Midwestern America, presbyter Vladimir Vranic and deacon Aleksandar Vujkovic, arrived at the monastery on the eve of the feast of the Beheading of Saint John the Baptist and served the vigil service with the local clerg. 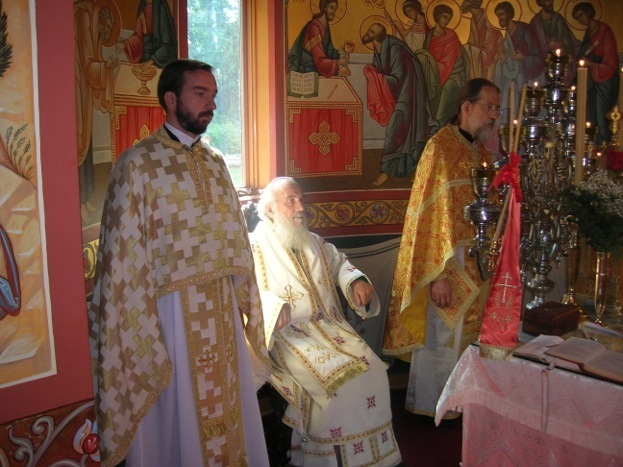 The following morning, on the feast of the Beheading of St. John, the Patriarch officiated at the Holy Hierarchal Liturgy. 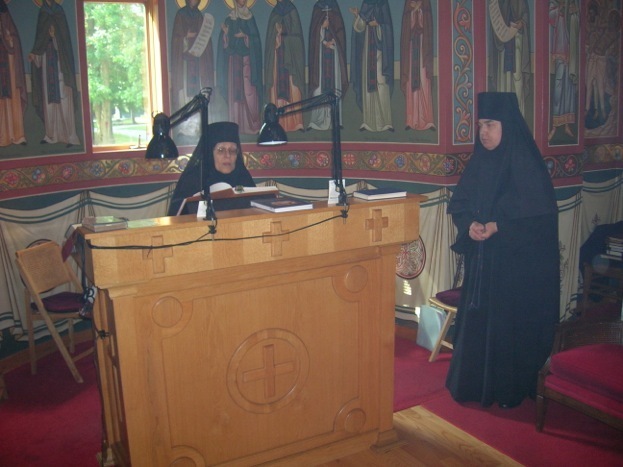 His Grace Bishop Longin attended the Liturgy. 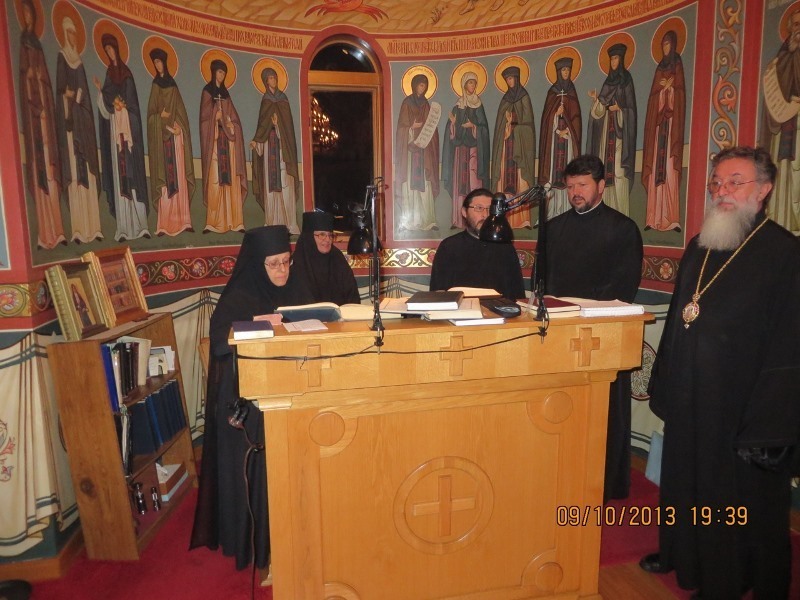 The Sisterhood of this monastery warmly welcomed the Patriarch and showed on this occasion their generosity.